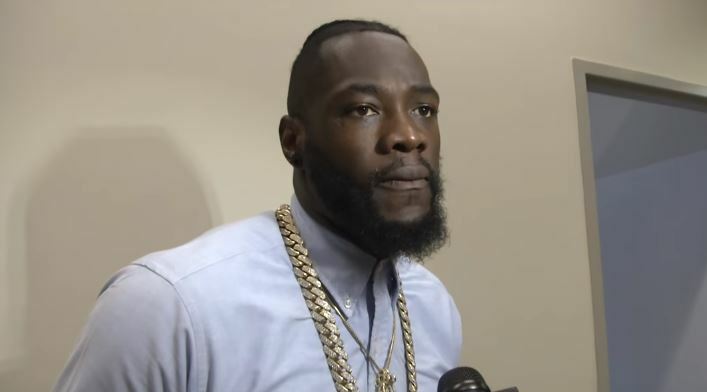 WBC heavyweight champion of the world Deontay Wilder has had to bat back many people on social media berating him for what in some people’s view was a WWE circus at yesterday’s Tyson Fury weigh-in. There’s a debate in the sport of boxing at the moment about how good for the sport press conference antics and over the top hype really is for boxing. When you look back over the years though, trash talk has always been part of pro boxing. It’s just perhaps now more frequent than ever before. If you consider the modern professional sports landscape these days across a multitude of sports, you’ll notice that sports are now not just sports anymore, they’re entertainment too. People pay money for tickets, pay per view, streaming services, merchandise and the like at the end of the day. Sports are part of the entertainment business whether they like it or not due to modern culture. Nothing will never be scripted with me. All real good clean chaos. ‘Chaos’ seems to be the theme of this Wilder trip to Belfast so far. Tonight should be interesting to say the least.